Do not use a hammer or impact tools (pneumatic or electric). 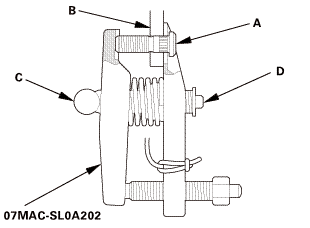 NOTE: If the angle of the remover against the wheel bolt is not vertical, readjust the ball joint remover by turning the head (C) of the adjusting bolt (D). 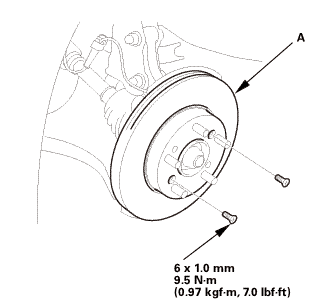 Insert the new wheel bolt (A) into the hub (B). 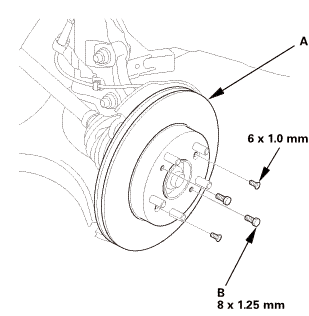 Degrease the area around the wheel bolt and the threaded section of the nut. 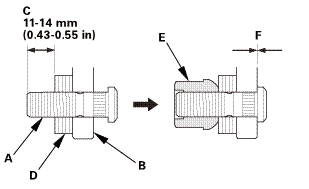 Adjust the measurement (C) with the washers (P/N 94101-12800 or equivalent) (D). 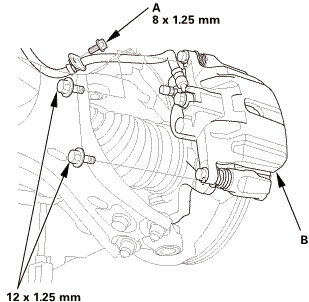 Install a nut (P/N 90304-SC2-000 or equivalent) (E) hand-tight. Do not install the nut and the washers that have been used as tools on a vehicle. Do not exceed the maximum torque limit. 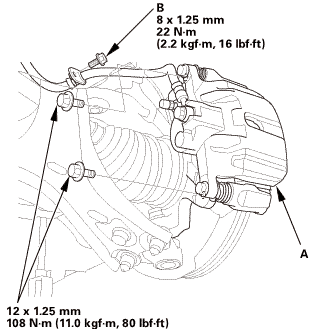 Make sure there is no gap (F) between the bolt and the hub. 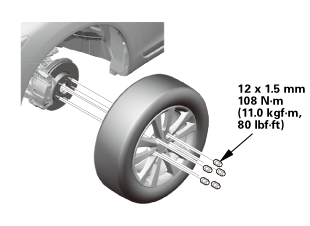 Limited torque: 108 N·m (11.0 kgf·m, 80 lbf·ft) max. 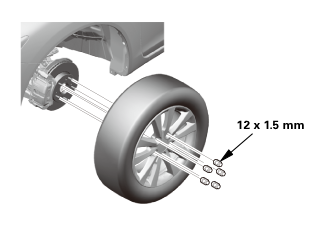 NOTE: If you cannot tighten the wheel nut to the specified torque when installing the wheel, replace the front hub.